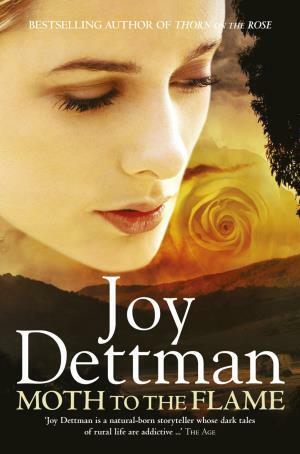 Our local community centre, Sandy Beach Centre in Sims Street, will be hosting an author talk with Joy Dettman on Thursday, 10th November at 4:15 p.m. Joy will be talking about her writing and her Woody Creek trilogy set during World War II. We'll be there with copies of her books to buy if you need to pick up a copy, or if you'd like to read any beforehand pop into the store as we have the series in stock. Here's the publisher's synopsis of the third book in the series, Moth to the Flame. The year is 1946. The war ended five months ago. Jim Hooper, Jenny Morrison's only love, was lost to that war. And if not for Jenny, he would never have gone. 'An eye for an eye,' Vern Hooper says. An unforgiving man, Vern wants custody of Jenny's son, his only grandson, and is quietly planning his day in court. Then Jenny's father Archie Foote swoops back into town. Archie offers Jenny a tantalising chance at fame and fortune; one way or another he is determined to play a part in her life. Is Jenny's luck about to change, or is she drawn to trouble like a moth is drawn to a flame? For more information on the event, click here for a link to the Sandy Beach Centre site.